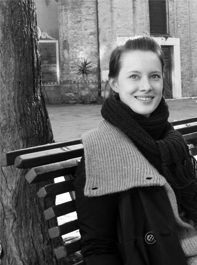 Last week (our second back in Australia) was the start of winter. The first of June was cool, but sunny and clear-skied—a timely reminder of why this is a fantastic country to live in. Winter is a gentle season here. Unlike in the European winter this is the greenest time of year, as most trees don’t loose their leaves. The sun shines most days, at least for a few hours, and the sky just feels lighter and less oppressive than in the cold north. One of the advantages of this mild cool season is that a wide variety of fruits and vegetables grow in winter here. The fruit bowl in front of me has beautiful apples, pears and oranges. There are bowls of quinces, lemons and grapefruit waiting for my mother to turn them into jam, and there are even a few late tomatoes hanging around. 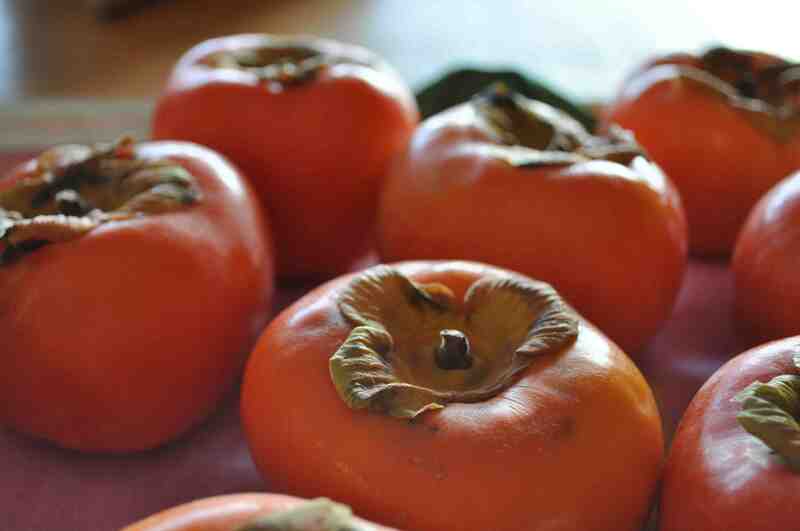 This is also, apparently, the harvest time for persimmons. Knowing that my mum is a jam-maker extraordinaire, a colleague of my father sent him home with a bag full of these exotic fruit. Now we’re a fairly omnivorous bunch, but somehow none of us had ever eaten persimmons (or at least no one remembered that they had). We looked at these lovely burn orange fruit, ummed and ahed, googled and decided to turn them into chutney. Before we got to the persimmons though, the lovely Zannie dropped by and staged an intervention. She showed us the true path towards persimmon appreciation—slices of peeled fruit eaten just as is. The fruit turns out to be crunchy and very sweet, something like a cross between the texture of a crunchy pear and the flavour of a rockmelon, but with its very own wonderful thing happening. So, on Sunday I was thinking about how to turn the persimmons into a light dessert and decided to try grilling them, as you can with peaches or pineapple. The sweetness of the persimmon was heightened by the quick cooking, taking on a toffee-ish flavour while retaining their crunch. Combined with some vanilla-infused whipped cream the grilled fruit were a very sweet and satisfying treat. Peel and slice the persimmons and pears into thick wedges. 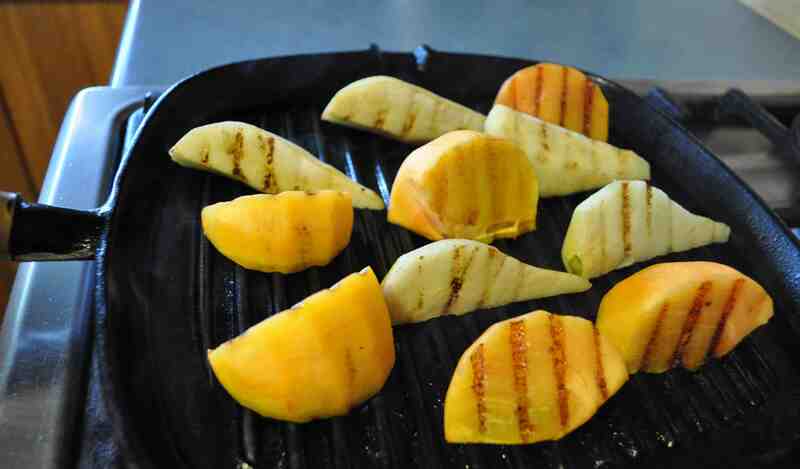 Heat a griddle pan until very hot then grill the fruit on each side just long enough to get deep caramel colour. Add the vanilla essence and brown sugar to the cream and whip until it is light and just forming soft peaks. 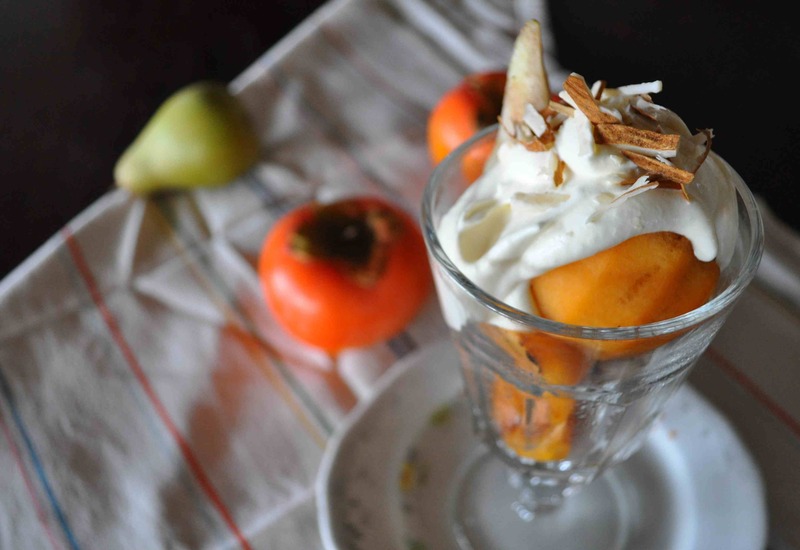 Serve three or four pieces of fruit with a good dollop of the cream and slivered almond or a wafer on top. How exciting to find a new flavour!